As a child, you may have discovered that chores go quicker when you make games out of them. 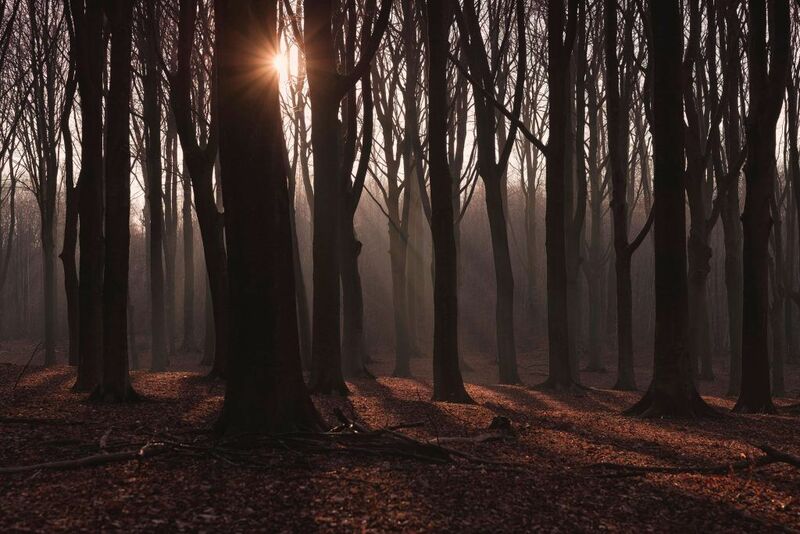 For some that live in heavily forested parts of the world, taking that advice to heart has led to careers as professional athletes. Sports like rodeo, fishing, sailing and many others were born out of trying to do some sort of otherwise useful task better than the next guy. 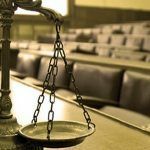 In another example, legend has it that in the 1870s two Tasmanian loggers argued over who could chop down a tree faster. In what their managers probably viewed as a productivity godsend, these kinds of informal competitions became the pastime of choice for lumberjacks. Over the next century, more organized contests started to emerge in Europe, the United States, Australia, and other parts of the logging world. Today, these lumberjack competitions (also called logging sports, timbersports, or woodsman teams) bring in huge audiences (both live and televised) to see their amateur, collegiate, and professional competitors. 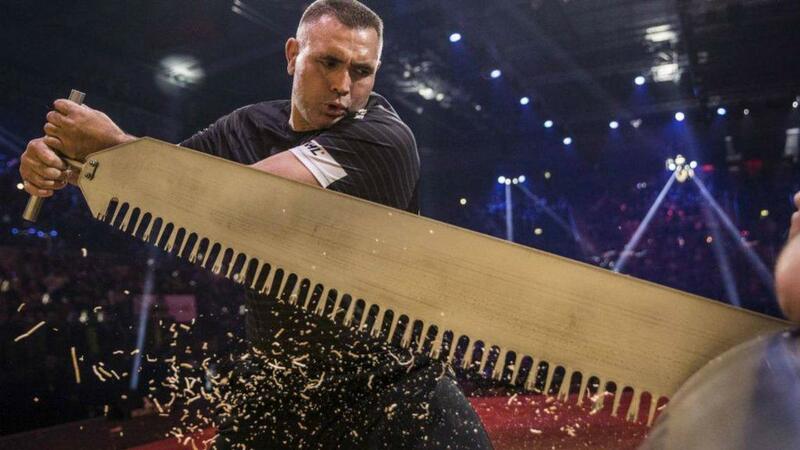 Modern competitions have evolved from simple tree chopping contests (though that’s definitely still a thing). 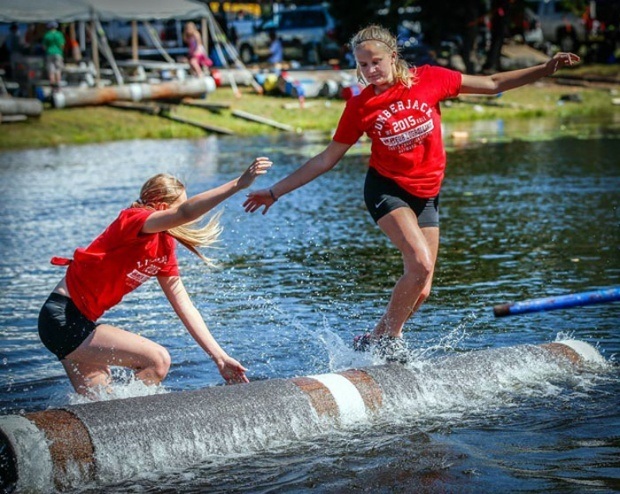 ● Logrolling: two athletes stand on a long floating log and try and make their opponent fall off by rotating, stopping, and bouncing the log. 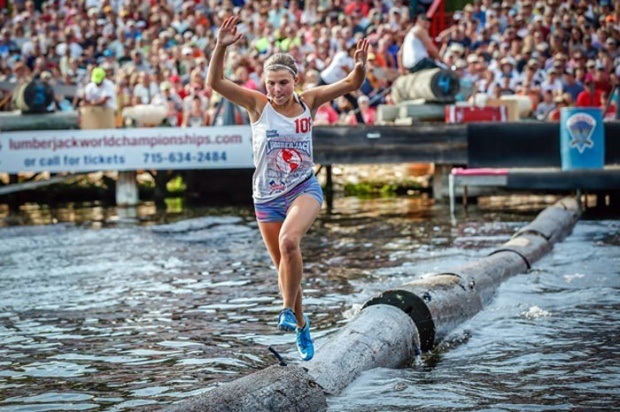 ● Boomrun: Competitors race back and forth across a ‘boom’ or chain of spinning, floating logs. ● Block chop: Use a small axe to chop through a log that’s 11-12 inches thick. 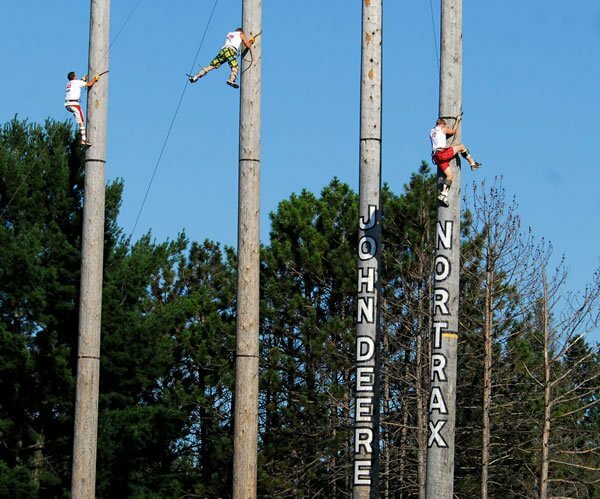 ● Speed climb: Using spiked shoes and a climbing rope, athletes race up and down a cedar pole as tall as 90 feet. 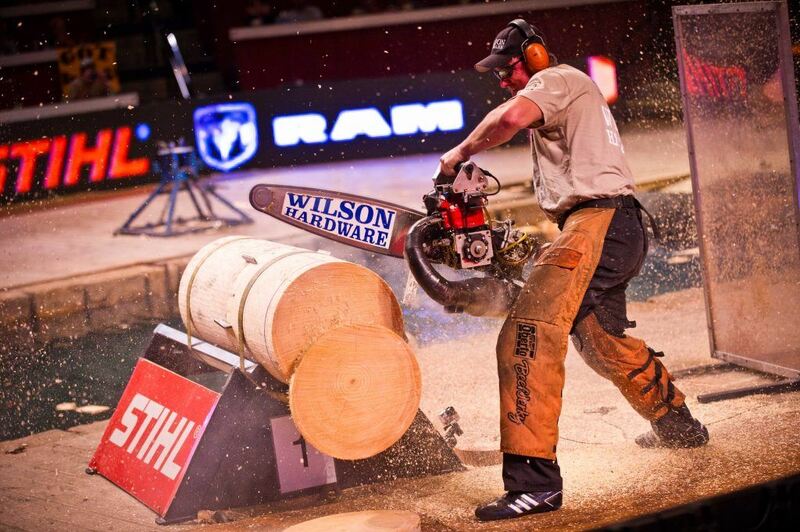 ● Hot saw: A timed competition to see how fast three cuts (up, down, and up) can be made on a 20-inch thick log. The best lumberjacks not only have to wear plaid fashionably, they have to be versatile athletes too. While you might think any strong athlete could just show up and do well in most events, most of them be outright embarrassed by professional and even collegiate lumberjacks. The sport’s pros come in all shapes and sizes, but most look exactly like what you’ve always known lumberjacks look like in cartoons and on paper towel packaging: tall, thick, and strong. Many have also been training in the sport (be it on the job or more deliberately) since the events were still just chores. In some hotbeds for the sport, kids as young as 10 or 11 start taking logrolling classes. Others participate in timbersports training camps, such as the four-week long Timber Training program in Squamish, British Columbia. Like with any other sport, there are countless fitness programs you can follow if you desire to one day climb, chop, saw, cut, and roll with the best. While these programs may get you strong and conditioned, only those that find the time and resources to actually work with real wood (often in a chipyard or on the job) tend to achieve timbersports glory. In few places will you find more athletes pursuing that dream than in the northern United States, particularly in Wisconsin. 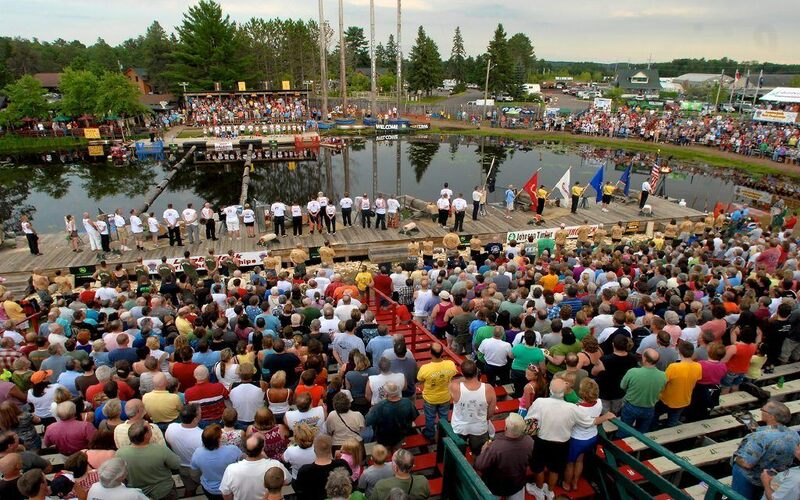 There you’ll find Hayward, a small town of about 2,000 that has hosted the Lumberjack World Championships since 1960. 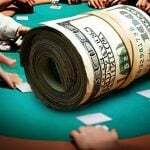 Held annually at the end of July, the event sees 100 men and women from around the world compete for a $50,000+ purse. The showcase includes 21 different sawing, chopping, climbing, and logrolling events as well as three different team events. The lumberjack that scores the most overall points in the competition is awarded the illustrious Tony Wise All-Around Champion Award, while the best lumberjill (female competitor) wins the All-Around Lady Jill Award. Over 12,000 spectators turn up for the event each summer, and until recently the Lumberjack Championships were seen by many more on ESPN as part of their Great Outdoor Games programming. 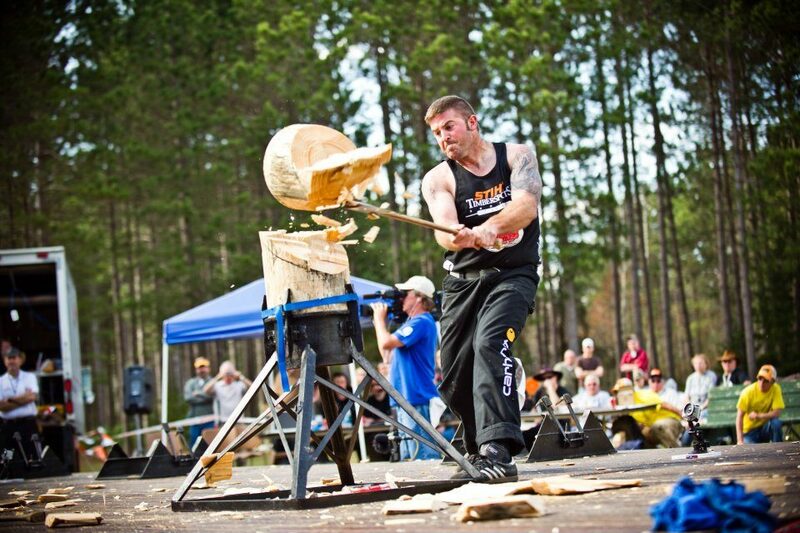 Other major competitions in lumbersports include the European Championship in Forestry Skills, the World Logging Championships, and the Stihl Timbersports Series which showcases six different climbing, cutting, chopping, and sawing-related disciplines. Since its humble Wisconsin beginnings in 1985, Stihl’s series has expanded to have separate competitions and records for collegiate, Canadian, European, American and World competitors. The Series has been an ESPN programming staple since the early 90s, is the network’s longest running program besides SportsCenter, and is watched by over 20 million annually in 62 countries. While it might seem like PED use would give athletes a clear advantage, lumberjacking sports have largely remained as wholesome as their roots. Being born out of such a time-honored job has seemingly helped them avoid ever having a major scandal to their name (save for the occasional accident that naturally comes along with wielding saws and axes). Instead, these athletes have found success simply by focusing on the backbreaking work few others want to do. 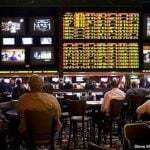 Online Gambling In The United States- Where Next?